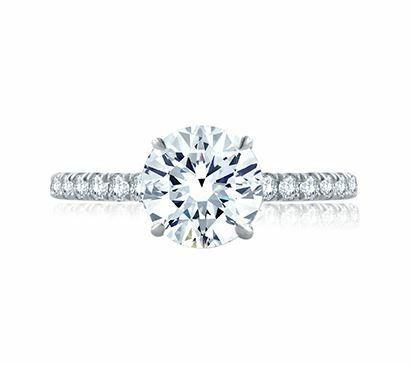 Statement Round Quilted Diamond Engagement Ring designed by A. JAFFE and sold by Bayside Jewelry. From our signature Classics Collection comes the timeless Statement Round Quilted engagement ring with a diamond paved shank and diamond paved bridge. 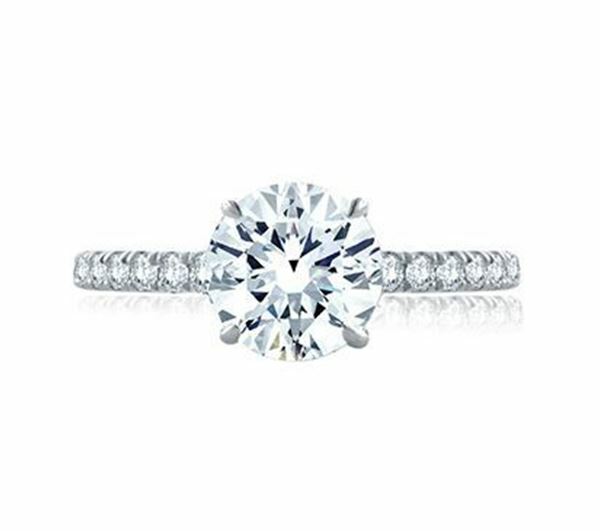 With minimal distractions, the focus is on the center solitaire diamond, which is lifted high above the ring for a dramatic look that perfectly captures the light. A modern way to wear the most classic of engagement ring styles.